Hours: Monday, Wednesday & Friday, 8:30 a.m.–9:00 p.m.; Tuesday & Thursday, 11:00 a.m.–9:00 p.m.; Saturday, 8:30 a.m.–5:00 p.m. 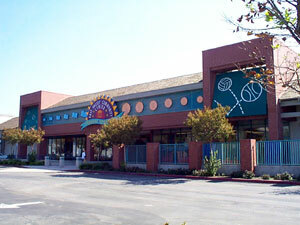 The East Valley Community Center (EVCC) is a full-service recreation center offering classes in health and fitness, dance, personal development, preschool, and other children's activities. Drop in during open gym hours and play basketball, volleyball or badminton in our full-sized gymnasium. EVCC staff will be happy to assist you with activity information and registration. For more detail on these activities, visit recreation.escondido.org. A Unique Facility for Your Unique Event! Is your home too small for that birthday or anniversary party, or special family gathering? Looking for a unique approach to corporate team building, training, or staff retreat? Look no further! The East Valley Community Center is just what you need to create a fun and memorable day that will fit your budget as well as your group needs. From meeting rooms to a full-sized gymnasium and dance room, the EVCC is the perfect facility to make your event an unforgettable success! Reservations may be made by completing a Facility Use Application and paying all fees. Reservations are accepted up to two months in advance and up to one year for one-time weekend events in the Vineyard Room. Our professional staff is always available to assist you with any questions. For details and price quotes, please call 760-839-4382 or e-mail Escondido Recreation.